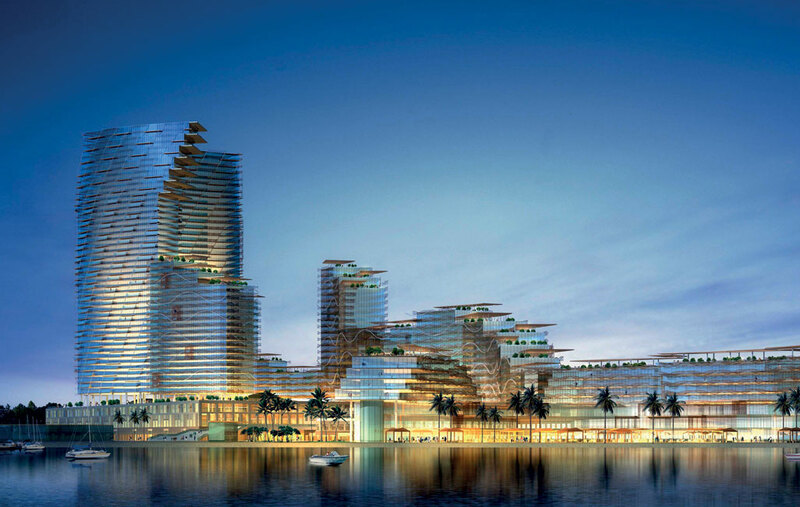 Diar Consult was approached by a UAE real estate developer in February 2008 to prepare a concept design proposal for the Nebula Development, located on an amalgamation of five plots within Nakheel’s Madinat Al Arab development along the Waterfront in Jebel Ali, in one of the prime locations where a manmade canal meets the sea. The project comprised five elements: a 38-storey commercial office tower, a 47-storey residential tower that cascades down to a 23-storey residential tower, a 17-storey building of serviced apartments and a seven-storey five-star hotel. 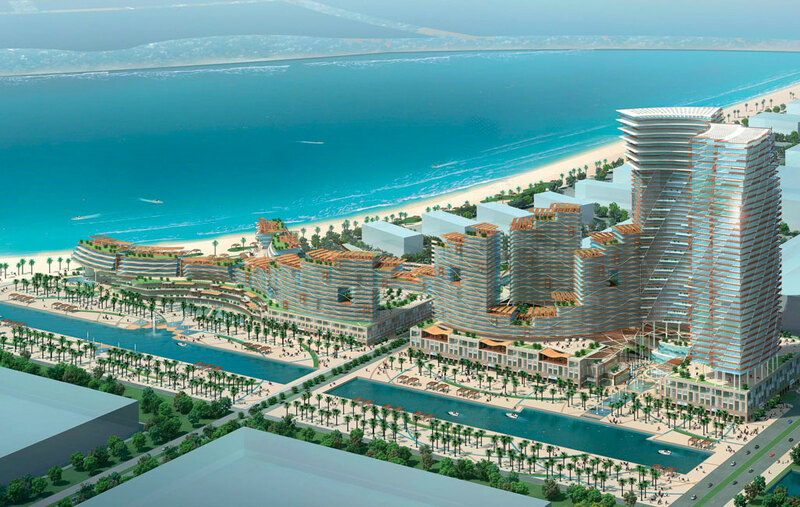 Magnificent views of both the Arabian Gulf and the manmade canal are maximized. Diar Consult had already established a strategic alliance with Tange Associates of Japan, so that they could partner on significant projects in the UAE and the Middle East. Due to the size and scale of this project, it presented an ideal opportunity to use the arrangement. Tange Associates led the concept design, and Diar Consult acted as associate architects. 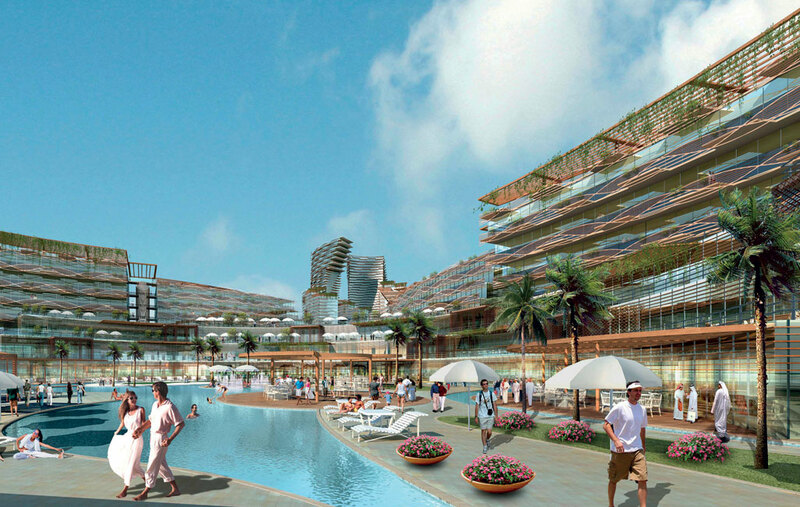 The design aimed to create a unique destination and vibrant environment with a sense of identity and unity, giving the residents, workers and visitors a sense of belonging. Sustainability and respect for nature were major drivers of the design, using natural energy sources of wind, water, sunlight and greenery to create a human architecture. The concept design was completed in May 2008 when the developer had intended to launch the project on the real estate market. However the project was not developed further due to the worldwide financial downturn.